“Yessir, I’ll be damned if it don’t look like we’ve got a little problem on these fine, law enforcin’ hands of ours now don’t it” barked the Chief Inspector. The Chief was born in Salford Royal Hospital, but for some reason (perhaps the sake of this story) he spoke in the slow Deep South drawl of a 1970s US police sheriff. “Now I may just be the most senior officer in this here jurisdiction, but I ain’t sitting here watching paint dry when there are four hounds of hell laying rubber on our tarmacadam. Now fetch me my keys; I’m goin’ huntin’.” And with that he hobbled out of his office, climbed into his car and sped off — all in the name of justice. Out in front the three remaining drivers were duking it out for the prize, all the while unawares that every jam sandwich in the county was hot on their trail. 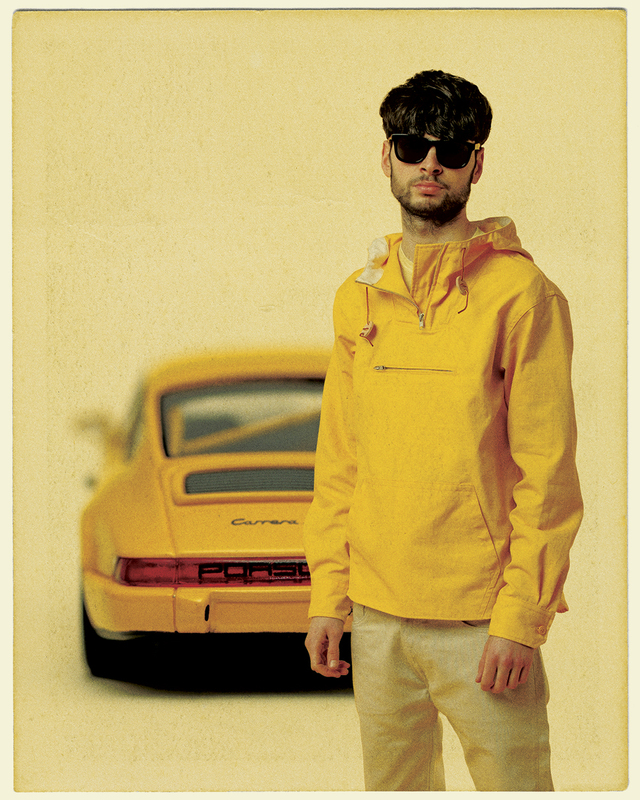 In the lead we’ve got a Porsche 964 driven by a laid back character known by the handle of Mellow Yellow. The eagle-eyed may notice that he has a slight resemblance to the chap on the last page, but don’t for one minute think that this is because we could only get hold of one model for the photo-shoot. Nope, all the racers who turned up happen to be from Manchester’s world famous motor-racing family. Sort of like the Tracy family but with fast cars instead of spaceships. Either that or they’re clones. Or robots. Take your pick. Navigating his way around the roadworks with finesse, before dropping down the gears, this chap is getting further and further out in front. It’s probably too early to say this, and we certainly don’t want to jinx it, but it looks like he might just take the win. Especially as it looks like he’s just found a handy short-cut — a disused railway tunnel cutting down valuable time and taking him all the way to Oldham? This sounds almost too good to be true. What’s that you’re saying? You reckon it’s one of those dastardly painted on tunnels like in the cartoons? Come on, we may be ripping off multiple road movies, but we’d like to think we were above a Wacky Races reference. No, this is a real-deal tunnel without a lick of black paint in sight. After firing out the other end of the tunnel completely unscathed, the finish line is in his sights. But wouldn’t taking the win now be a little too easy? You’re damn right it would. With time on his side, Mellow Yellow thought it best to live up to his name by gently pulling up into a lay-by, dusting off his trusty The Very Hungry Caterpillar audiobook (read by Alan Rickman no less) and reclining his seat to take a quick nap. And who can blame him?